I fogot the best part! Bruce Springsteen’s new single, “Working On A Dream,” is available for free on iTunes or his website. I know that on iTunes, it’s only free today, so hop on it. I don’t know how long it will last, but here is the link. Also, for today only, the new album by The Killers is $3.99. Words cannot describe this video. If you drink a shot of espresso and then immediately drink a glass of orange juice, it kind of tastes like grapefruit juice. Bruce Springsteen has a new album coming in January!!!!!!!! Ed Stetzer gave a great sermon on election last Sunday. Parchment & Pen has some great thoughts on the tensions of Calvinism. It’s an older post, but I would encourage you to read it. Well today is election day. I hope you voted. As frustrating as this election has been for many of us, it is good to know that “the Most High rules the kingdom of men and gives it to whom he will” (Dan. 4:32). Mark Driscoll had some excellent thoughts about the election here. He pretty much sums up the way I’ve been feeling about it. I just want to say that I in no way encourage or promote political apathy. However, I do not believe that the election should ever take primacy over the gospel. 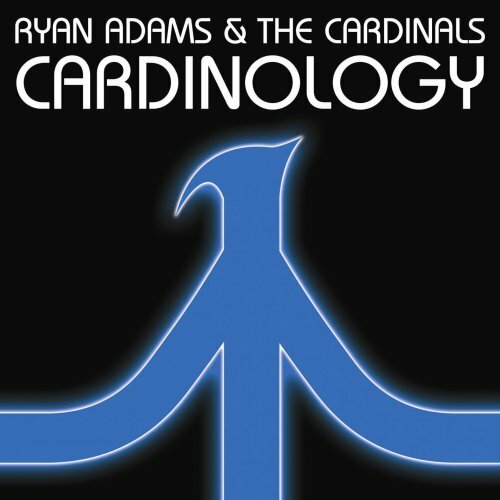 Cardinology – Noun; The study of The Cardinals, Ryan Adams’ backing band. After recording Cold Roses and Jacksonville City Nights with a shape-shifting group of musicians called The Cardinals, Ryan Adams finally found steady group of musicians for his band. Although Easy Tiger was technically a Ryan Adams & The Cardinals project, it ended up getting billed as another solo album. This past tuesday, Ryan Adams & The Cardinals released Cardinology, their most undeniably band-focused album to date. While still wearing some of their Grateful Dead & Gram Parsons influences on their sleeves, U2 and Allman Brothers influences are also present. Most importantly though, Cardinology shows the band really coming into their own. Pick it up. It’s a great album. Watch Ryan Adams & The Cardinals perform the single “Fix It” on Letterman.